This passage is part of Job’s final reply to his friends. Job remains steadfast in his faith in God. He is contrasting the life of the wicked with his own life to demonstrate once and for all that he is not a wicked man in God’s eyes — despite the judgement and condemnation heaped on him by his friends. The word pictures and analogies Job is using in this passage are odd. 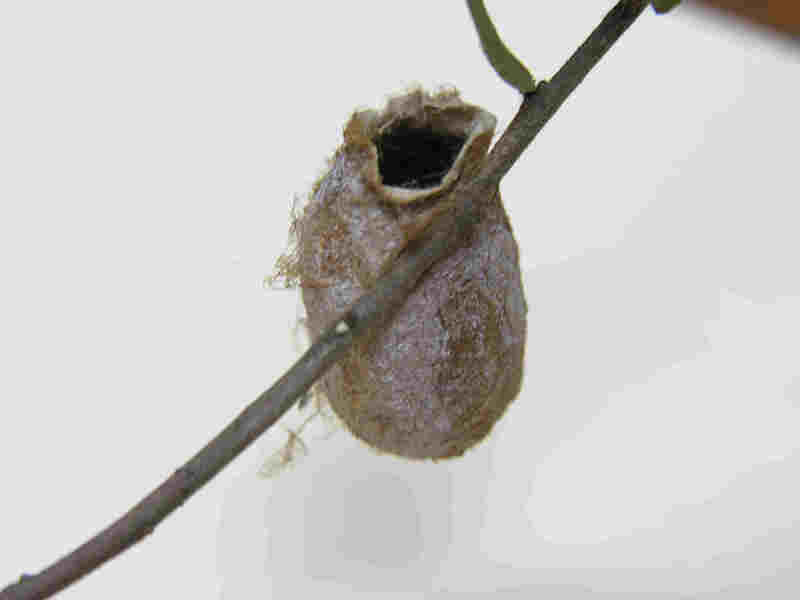 Why would the house of a wicked man be like a moth’s cocoon or the hut made by a watchman? I have been puzzling and praying about this most of the day and I must admit I remain perplexed. Both a moth’s cocoon and a watchman’s hut are very temporary “structures” built for a very limited purpose — not the sort of place built to weather a tempest or a flood. Maybe what Job is getting at here is the idea that the wicked invest their lives and energy in things that are transitory, whereas faithful followers of God invest in eternal things so that they are prepared when floods come. However just because one has “flood insurance” does not mean that building near a river that often floods is a good idea….better to build your home in a safe place than to ignore common sense and build in a risky spot. The spiritual equivalent of “building in a risky spot” is placing ourselves in a position where following God is made more difficult, or even worse, our actions lead others away from God. “Terrors overtake the wicked like a flood”…this sounds like someone consumed with caring for the things of this world. I am reminded of the Parable of the Rich Fool in Luke 12:13-21. The rich man had so much wealth that he was consumed with building larger store houses for his wealth when in fact that very night a “flood” would come and sweep his life away. The cautionary tale here is that we need to invest our time, treasures, and talent in building our soul and seeking after God rather than the things of this world that will in the end be worthless and washed away in a “flood”. Prayer: God help us to build sturdy souls that are seeking after You. This entry was posted in Christian Community, Christian Leadership, Christianity, Death and Dying, Discernment, Faith, Following God, Free Will, Job, Obedience, reconciliation, religion, Sin, The Earthly Realm, The Spiritual Realm, Trusting God, wealth and tagged bible, bible study, Christianity, Daily devotional, flood, water. Bookmark the permalink.